Yesterday was Pancake (okay, Shrove) Tuesday, so we celebrated in the full spirit of people who don't care about Lent. 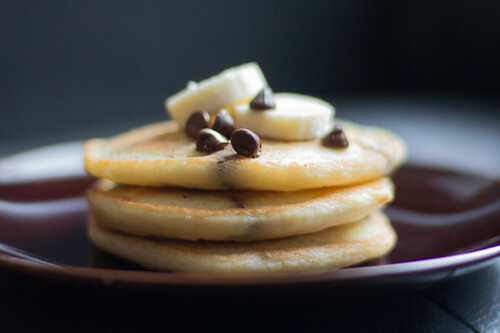 With pancakes, chocolate chips, and bananas. Also veggie bacon.